The S1-1218 is conceived to take our .12 engines performances to the next level. The new redesigned 12mm crankshaft with silicone insert optimizes the flow of fresh charge, improving the overall performances of the power unit without compromising on fuel consumption. 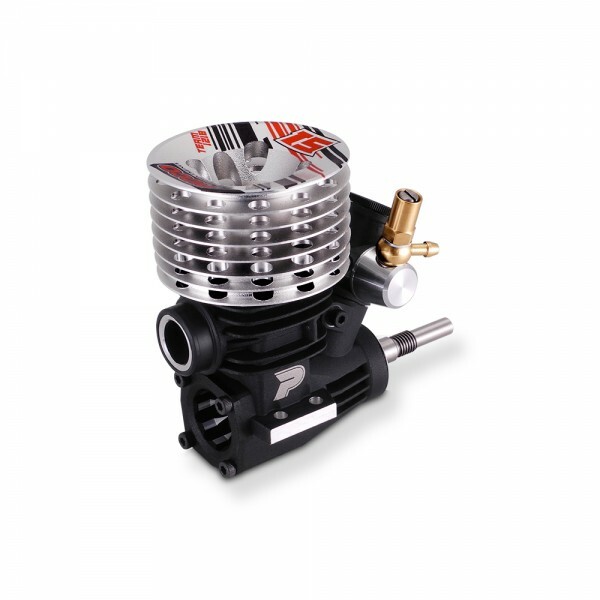 The 3-port cylinder and the composite carburetor complete the engine, easy to distinguish thanks to the updated color scheme of the cooling head. This unit features a new color scheme on its LCG - Low Center of Gravity cooling head, conceived to drastically improve the handling of the touring car it is mounted on. The aforementioned newly shaped crankshaft is connected to the piston by a super aligned “knife edged” rod and rotates on Swiss-Made ball bearings for optimized performances. 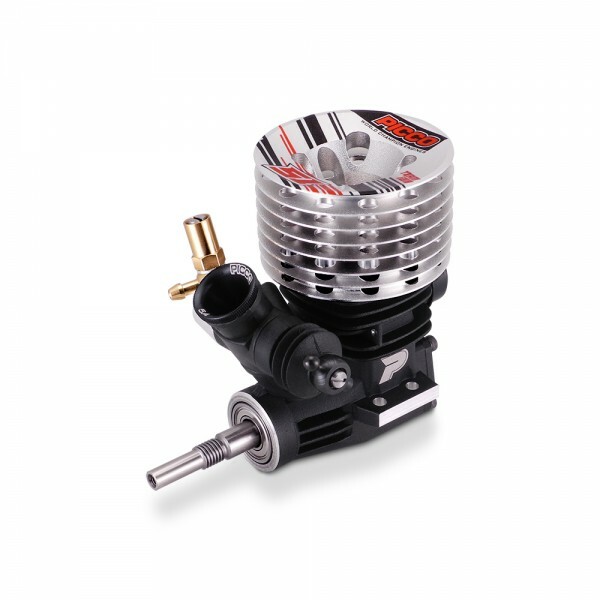 The piston is CNC-Machined from a high silicone percentage alloy, while the brass cylinder is hand-finished and sports a tear-drop work on its ports. All Picco Exhausts Systems are EFRA homologated and designed to optimize the performance of your Picco made engine. 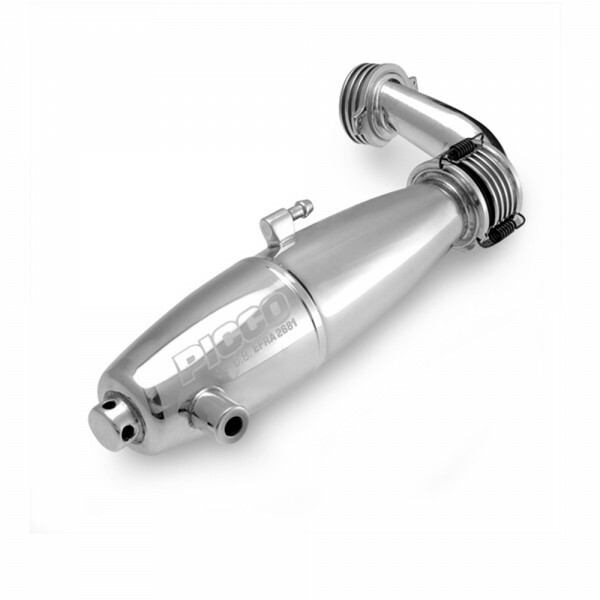 We strongly recommend to use an original Picco exhaust with your engine. Durability and reliability of your power package could be compromised by using a different combination. All Picco engines can be supplied combined with its dedicated exhaust system in a special 'nitro-pack' set.